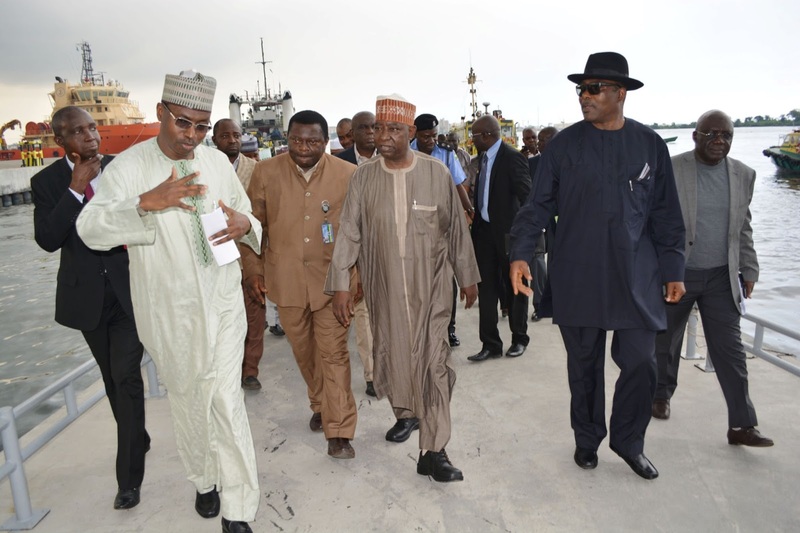 The Managing Director of the Nigerian Ports Authority (NPA), Alhaji Sanusi Lamido Ado Bayero recently undertook his first familiarization tour of the Lagos Ports Complex (LPC), Apapa during which he commended the foresight of successive managements of the Authority for embarking on projects that are of tremendous value to the operation of NPA. The Managing Director who was on a guided tour of the port specifically explained that the completion of the 1.6km access road has made accessibility within the Port less stressful and had tremendously made vehicle movement much easier. Sanusi Bayero, who was accompanied on the tour by top Management officers, also inspected NPA facilities within the LPC for an on-the-spot assessment. 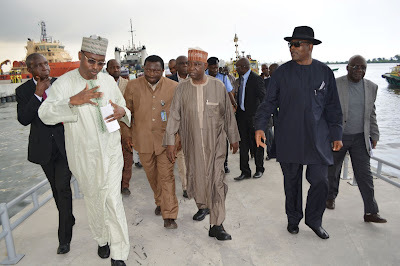 The Managing Director and his entourage also inspected completed works at the East and West moles breakwaters at the Atlas Cove, where he commended the quality of works considering the relevance of the breakwaters to the nation’s navigational safety. At both the Lagos Port Complex (LPC) and the Atlas Cove, the Managing Director was briefed by the outgoing Port Manager, Malam Nasir Mohammed and Capt. Jerome Angyunwe, AGM Harbours. On the entourage of the Managing Director during the tour were the General Manager Western Port, Chief Michael Ajayi, General Manger Corporate Planning and Statistics, Engr. Tolulope Talabi, General Manager Security, Lt. Col Jamil Tahir (rtd), General Manager, Marine & Operation, Abdul Goje and AGM Public Affairs,Musa Iliya.